The Commission's electoral review of West Berkshire concluded in April 2018. The aim of the review was to deliver electoral equality for voters in local elections, and recommend ward boundaries that ensure all councillors represent approximately the same number of electors. The West Berkshire (Electoral Changes) Order 2018, to implement recommendations made by the Local Government Boundary Commission for England (LGBCE) for new electoral arrangements in West Berkshire, was made on 26 April 2018. New warding arrangements for West Berkshire Council have now successfully completed a 40 day period of Parliamentary scrutiny and will come into force at the local elections in May 2019. The Order for West Berkshire Council can be viewed through the following link. On 26 February 2018, the West Berkshire (Electoral Changes) Order 2018 was laid in draft in Parliament. Now that that draft Order has successfully passed through Parliament, it will give effect to the final recommendations that were consulted on during the Local Government Boundary Commission for England’s review of electoral arrangements in West Berkshire, and published on 16 January 2018. On 16 January 2018, we published final recommendations for future electoral arrangements in West Berkshire Council. 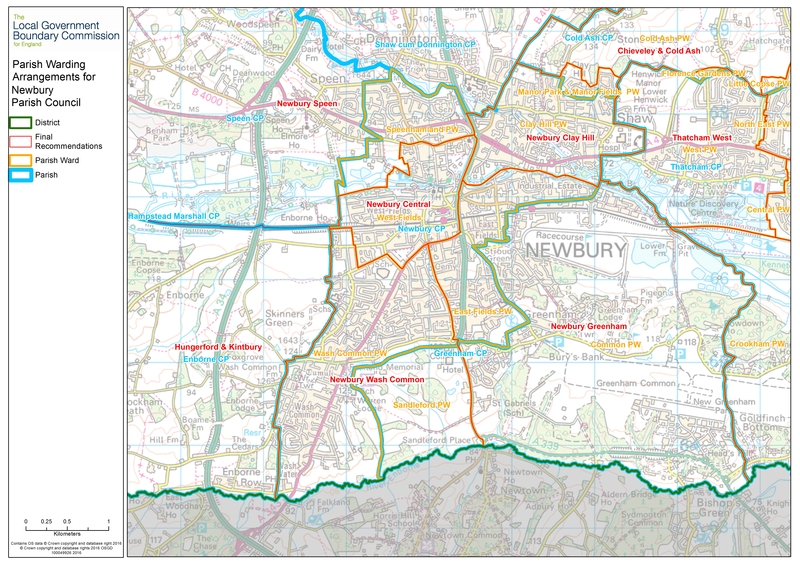 · Final recommendations map for West Berkshire Council - please note: this map is very large and may take some time to download. We have now completed our electoral review of West Berkshire. The changes we have proposed must be approved by parliament. A draft Order - the legal document which brings into force our recommendations - will now be laid before parliament. The draft Order will provide for new electoral arrangements for West Berkshire Council to be implemented at the local elections in 2019. The consultation on the further draft recommendations for West Berkshire closed on 13th November 2017. 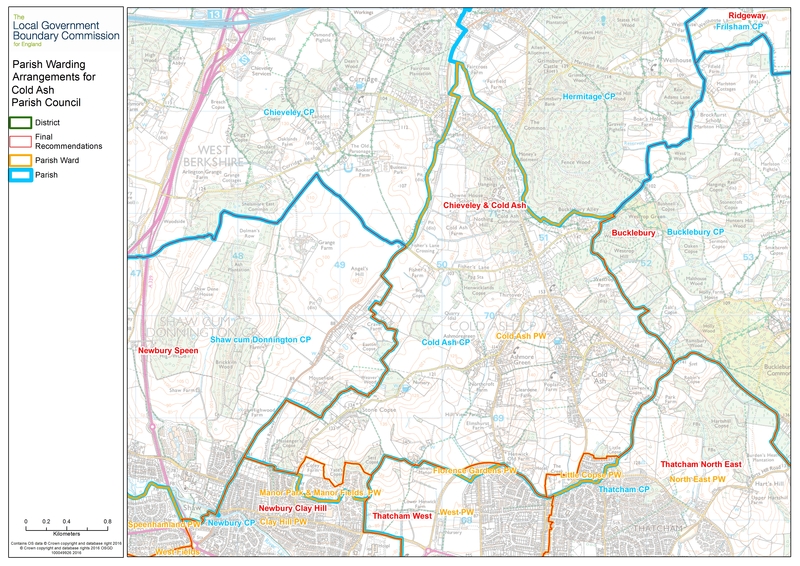 · An overview map of West Berkshire draft recommendations is available. Please note: this map is very large and may take some time to download. As a result of these changes, the deadline for submissions was extended to 13 November 2017. The further consultation on warding arrangements for West Berkshire closed on 10 July 2017. On 13 June 2017, we started the further period of consultation for a pattern of wards for West Berkshire Council. 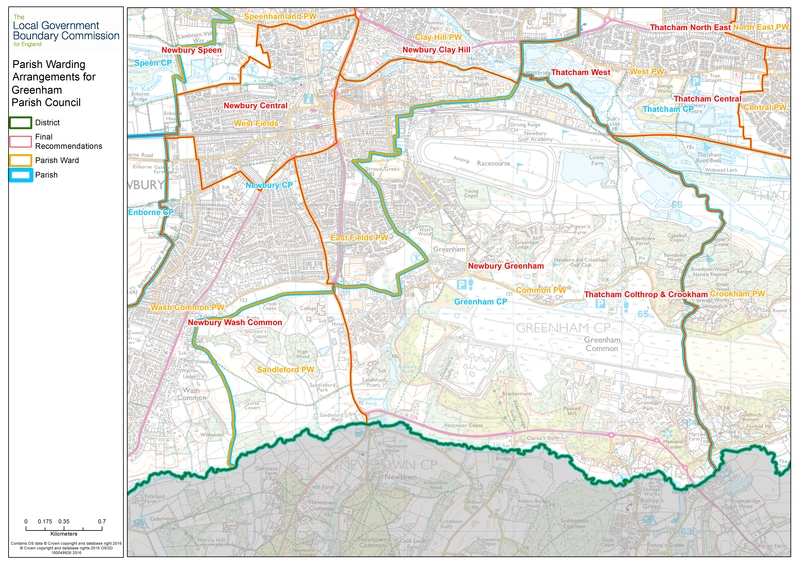 Between 13 June 2017 and 10 July 2017, we invited comments on the ward boundaries for the authority. A further period of consultation on warding arrangements for West Berkshire therefore began in light of responses to correspondence received at the previous stage of consultation. We had decided to re-examine the electorate forecast figures provided by the Council. The Commission relies on 5 year forecasts so that our proposals reflect future development and not just the existing electorate. It was important that we were satisfied with these figures. The Commission worked alongside West Berkshire Council to produce revised forecast figures for 2023. We believed that these updated figures were more likely to reflect the electorate by that time. Because these figures were, in some areas, significantly different to those we originally published in January 2017, we conducted an additional month long consultation on warding patterns. 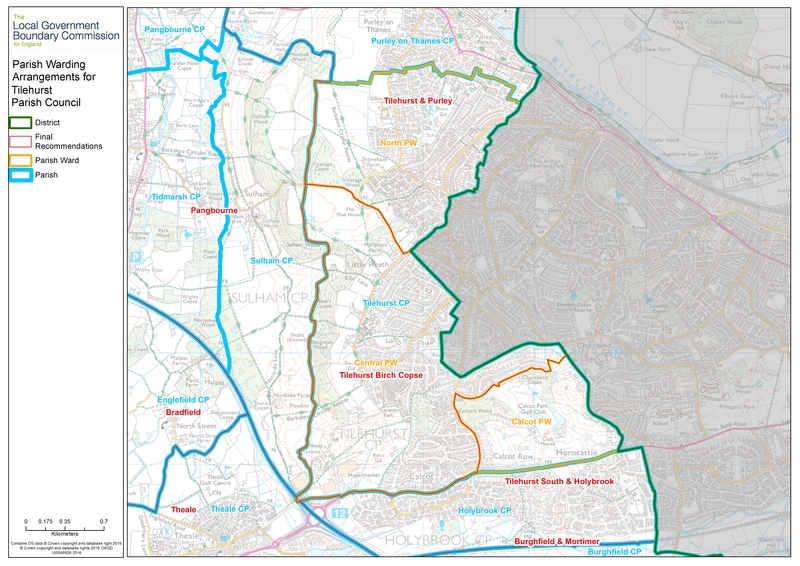 We wrote to everybody who wrote to us previously, offering the opportunity to submit amended proposals for future ward boundaries based on the new figures. When drawing up our draft recommendations we considered all the submissions we received at the previous stage of consultation and those received in this new consultation. Local residents and organisations were welcome to write to us again. The Commission was minded to recommend that West Berkshire Council should have 42 councillors in the future. As before, the Commission needed information from people and groups across West Berkshire to help it to produce a new pattern of wards to accommodate 42 councillors. For more information, read our news release and the letter to the Chief Executive of West Berkshire Council. Polling district maps may also be useful when thinking about warding arrangements. You can view the polling district map below. 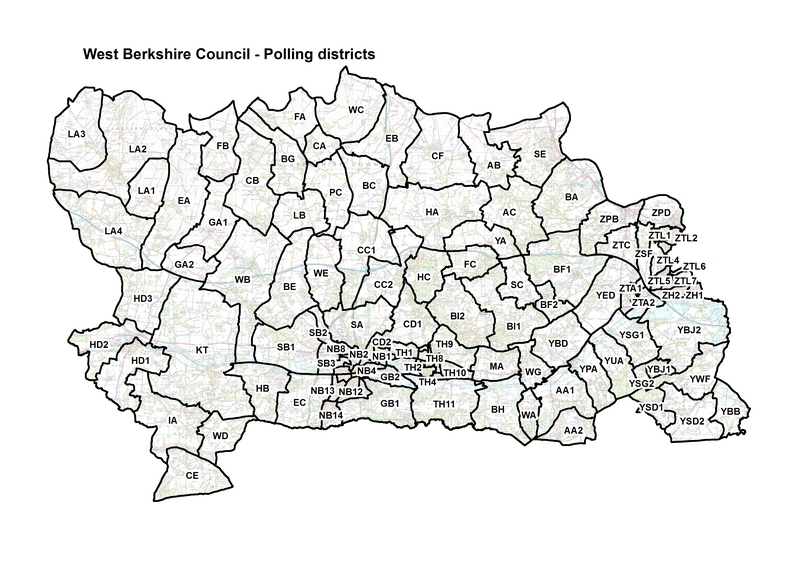 Please note, polling district mapping data has been supplied by West Berkshire Council and may contain boundary errors. The consultation on warding arrangements for West Berkshire closed on 10 April 2017. On 24 January 2017, we started the first period of consultation for a pattern of wards for West Berkshire Council. 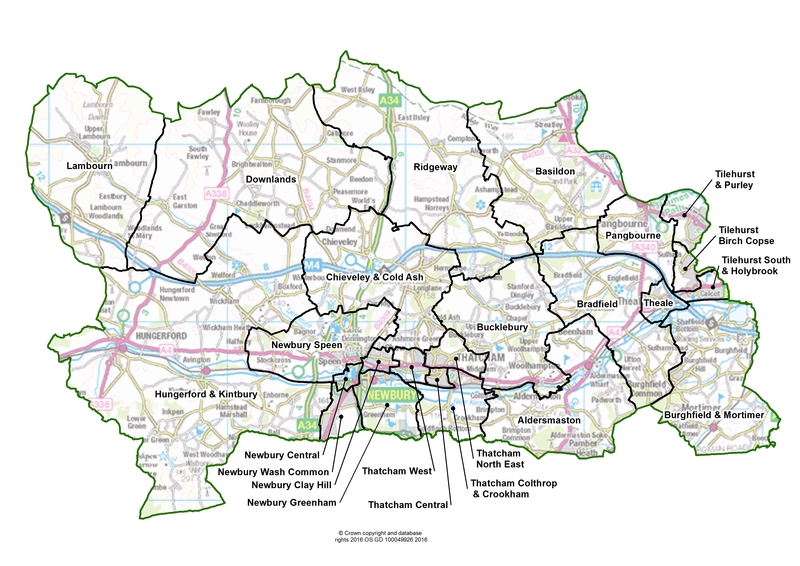 Between 24 January 2017 and 10 April 2017, we invited comments on the ward boundaries for the authority. The Commission announced that it was minded to recommend that West Berkshire Council should have 42 councillors in the future. The Commission needed information from people and groups across West Berkshire to help it to produce a new pattern of wards to accommodate 42 councillors. For more information, read the news release and the letter to the Chief Executive of West Berkshire Council. N.B - 7 February 2017: Please note we were aware of errors in the figures in our consultation area. These have now been amended and the consultation deadline has been extended by a week until the 10th April 2017.